Anna Maria Island attracts visitors from far and wide for its fabulous fishing and its crystal clear waters are also a haven for serious sailors or those who just like to get out on the water. To make your fishing and boating trips as easy and plain sailing as possible, Anna Maria offers everything you need. Read on for information on where to buy bait from, where and how to fish, where to moor your boat and where to hire boats and equipment. With three piers, a long list of experienced sea captains ready to take you on the fishing trip of your dreams, and a wide range of charter, marina and support services, you will soon discover why fishermen and boaters return to Anna Maria Island year after year. 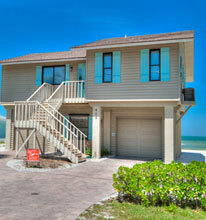 Anna Maria Island truly is an angler’s paradise in which you are spoilt for choice at every turn. Fish from a boat, the beach, or one of the piers or bridges joining the island to the mainland and be prepared for a run in with many species swimming in our beautiful blue waters. From bluefish to bonefish, trout to tarpon, grouper to flounder and everything in between including mackerel, drum, amberjack, snapper, sea bass, snook and shark. Anglers fishing from the city pier catch a wide variety of saltwater fish. For those who don’t, located at the end of the pier is the Anna Maria Oyster Bar, a great place to watch a perfect sunset and think about the one that got away. This is a popular spot to fish for grouper, flounder, mullet, bluefish and ladyfish. The pier has been recently refurbished and includes a restaurant located at the entrance to the pier. In 1979 one lucky angler reeled in a giant 1,386 pound hammerhead shark, a world record, from this pier – we told you to expect anything. It was and still is the largest shark ever caught off a fishing pier. This is a good place to fish for a wide variety of species and is another perfect spot for just relaxing in the Sunshine State, and enjoying some great food at the Rod and Reel Restaurant. For those of you who want a truly unique fishing experience, and can tear themselves away from Anna Maria Island for a moment, why not try the Sunshine Skyway State Fishing Pier off the I-275 between St Petersburg and Bradenton on Tampa Bay. The longest fishing pier in the world is open 24 hours a day, has a bait shop on it and you don’t need a permit. One of the best ways to be sure of taking home some fish as well as your perfect memories is to employ the services of one of the many charter captains on Anna Maria Island. Taking a charter trip means you don’t have to worry about getting your bait, tackle, license or a lack of local knowledge – that’s where these guys comes in. With years of experience and being able to reach some of the hottest fish-filled spots in our waters, Anna Maria Island’s charter boat captains give you the best chance of filling your boots and going home with arm-ache. From heading out into the bright blue yonder in search of the Gulf’s deep water species, to stalking the flats and backwaters in search of some hard-fighting prey, Anna Maria Island has a fishing experience for everyone. Here are some of the best local charter captains in Anna Maria Island and the surrounding area. This is perfect for beginners or avid anglers, wanting to experience light-tackle, inshore and near shore fishing at its best. Our captains are top premier guides whose knowledge and skill give you the opportunity to experience a spectacular world-class fishing adventure. Captain Josh is a full time professional fishing guide with over 15 years of experience fishing Anna Maria Island and Tampa Bay waters. Captain Josh will custom built each fishing trip individually to make sure you have the most exciting or relaxing experience in Anna Maria’s waters. Half and full day and evening fishing charters inshore on 24ft custom sport vessel. Fish the backwaters for snook, redfish, and trout or in the Gulf for permit, tarpon, cobia, snapper and grouper. Beat the heat with 5pm-dark shark and other rod-benders. Stray Dog Charters offer a variety of fishing trips ranging from the ‘family fun’ 4 and 6hr trips to the full day 8 and 10hr trips to the longer range of 12, 14 and 16 hour trips. As a general rule of thumb, if you have to pay for your fishing you don’t have to buy a fishing license. Otherwise, remember, if you are going to go fishing in the waters off Anna Maria Island you have to purchase a license and obey the local fishing regulations. Along with fishing some of these charter services offer other boating experiences for you to enjoy on the Island. They offer trips including dolphin sails, sunset sails, Egmont Key trips for ruins, shelling, snorkelling, and also kayaking trips. Choose between a sleek and stable 36ft catamaran, Mahina La, or LEX-SEA, a 65ft performance yacht. Convenient location caters for Anna Maria Island, Bradenton, Longboat Key and Sarasota beaches, and allows easy Gulf access and the possibility of remote island adventures! 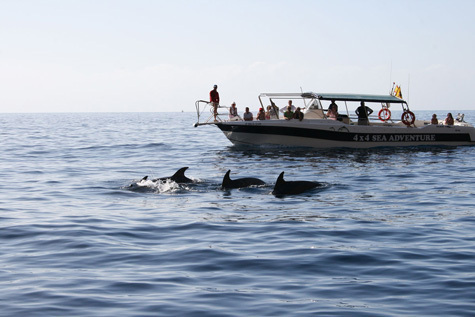 Mystic Dolphin Tours offer boating, sightseeing, shelling, snorkelling and dolphin watching aboard a 28ft Pontoon Boat. The tours are for a maximum of 6 people, so is a great trip for the family. Join Captain Ed Hartung aboard the 30ft Catalina Zig Zag for a cruise on the beautiful emerald green waters of Tampa Bay and the Gulf of Mexico. Take a turn at the helm or just relax and watch the dolphins. 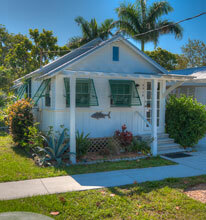 Located next to Rotten Ralph’s Restaurant on Anna Maria Island Tampa Bay, Capt. Ed is available for 2 1/2 and four-hour cruises on Tampa Bay. There are so many Things To Do on Anna Maria Island you will be spoilt for choice! Anna Maria Island boasts a wealth of luxury vacation villas with private swimming pools, beach front condos and water front vacation homes with docks. 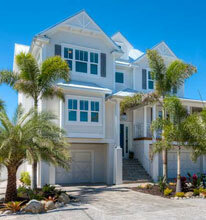 The Anna Maria Island is host to a myriad of festive annual events. Click here to find out what's on. © 2019 Anna Maria Island Life	Website Management by RealTech Services, Inc.